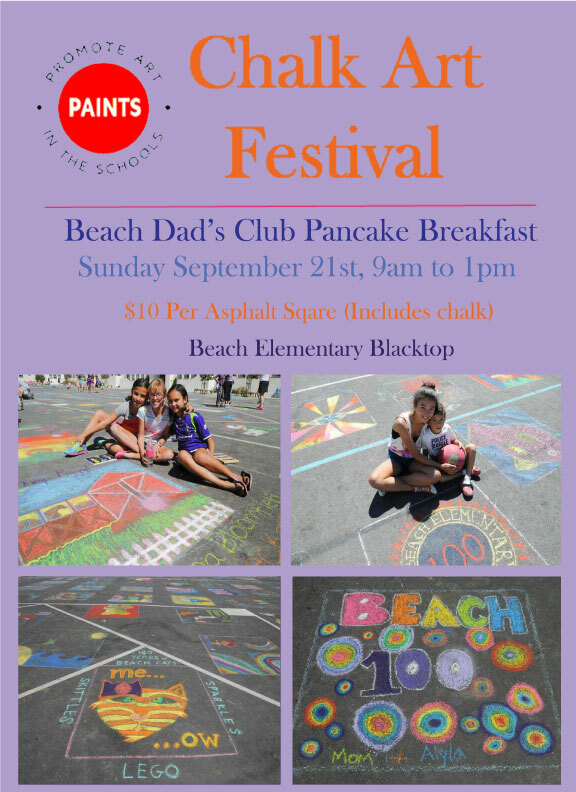 PAINTS – Promote Art in the Schools – is sponsoring the Chalk Art Festival at Beach Elementary School Playground, 100 Lake Avenue, on Sunday, September 21, 2014 from 9:00 a.m. to 12:00 p.m. in conjunction with the 9th Annual Beach Dads Club Pancake Breakfast. Come to the PAINTS table to purchase a beautiful box of chalk and claim a square on the blacktop. Then create away and enjoy the day! Chalk boxes are $10. All proceeds go toward promoting art in schools. For more information on PAINTS, go to www.piedmontpaints.org.